For eons, mankind has heeded the yen to leave its imprint on public spaces. Modern muralists respond to the same primal urge as Paleolithic artists in southern France. Sociologists will tell you this is because home-grown art, when viewed on a daily basis, comes to inhabit a weighty position in the community psyche — in short, it helps shape a place’s sense of self. 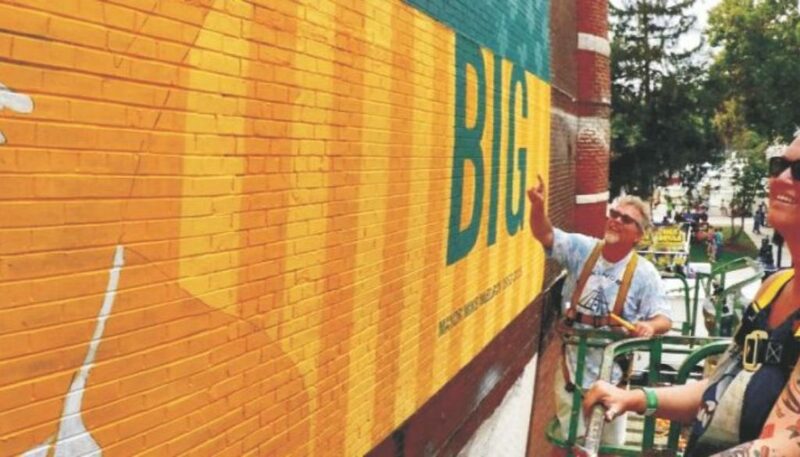 A recent surge in local mural work is changing the way we see Decatur. New images around town cover territory from city history to pop culture to the recent passing of a much-loved community leader. 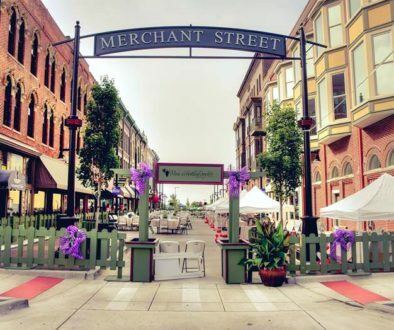 Johnson’s recent Labor Day project is another nod to Decatur’s colorful past. 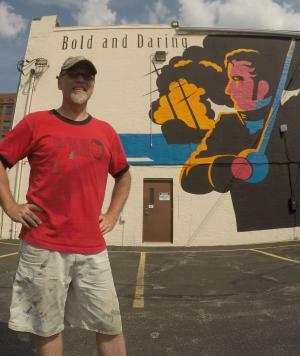 His tribute to the Staley Bears occupies another highly visible space adjacent to downtown’s most trafficked north-south route — a wall along 111 E. Main, reminding daily commuters of elements that make our city unique. This feeling of togetherness is at the heart of the mural movement. 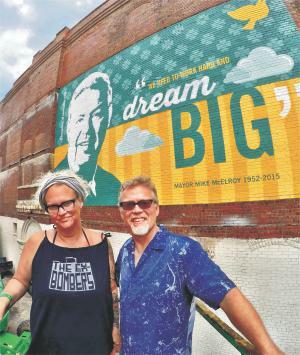 A prominent local philanthropist has quietly supported these and other initiatives as they arise, frequently supplying both the walls and the materials to bring them to life. Johnson hopes other potential partners recognize the virtues of the form. The sudden death of Mayor Mike McElroy this July dealt the community a terrible jolt. Very quickly thereafter, Brian Byers and a cohort of other community leaders mobilized to visually represent the mayor’s legacy. Public engagement intensified as Goss arrived at a concept and created the painting alongside Johnson – thirty feet above ground, in the midst of Decatur Celebration. Ultimately, something positive grew in the immediate aftermath of the loss. And it came to life before our eyes. “I think it’s great,” says longtime city corporation counsel Wendy Morthland. “I also think the timing of it was important, to help the community with the grieving process. It happened so quickly, losing the mayor. This was a way to begin healing while the pain was still right there and acute for all of us. For her part, Goss was genuinely apprehensive at the prospect of producing such an important portrait so far from earth. Regarding the memorial itself, Johnson credits the much-admired design entirely to Goss. “I told people my job was just to follow Shani’s lead and paint inside the lines.” He laughs remembering the energy inherent to the process. As with any movement that builds momentum, more formal organization eventually materializes. What was once dubbed the Mural Committee has evolved into the Public Art Committee. Its membership represents a cross-section of voices from the art, business, and community branding vantage points. 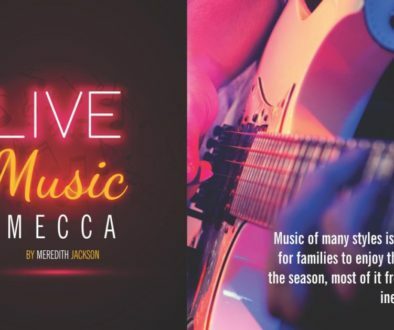 Consulting alongside Johnson and Goss are Sue Powell (Decatur Area Arts Council); Wegi Stewart (The Community Foundation); Nicole Bateman (Decatur City Limitless); Bob Luther (SCORE at Millikin); Patrick Hoban (City of Decatur); and other individuals associated with specific projects. The panel discusses overall vision, considers proposals for potential pieces, and works with partners to organize prospective walls for new work. This is important. On occasion, community installations stir up differences of opinion. An avant-garde 2011 Ron English installation is beginning to look a little rough around the edges, prompting some West End grumbling about its prominent placement on the corner of West Main and Oakland. “It was never intended to be there longer than a few years,” Goss clarifies, explaining that the mashup of posters was applied to the surface with wheat paste, and not meant as a permanent display. Something more lasting is now in the works from the Godfather of guerrilla street art. GB’s Books and Records on Eldorado is due for a Goss mural, either this fall or in the spring. 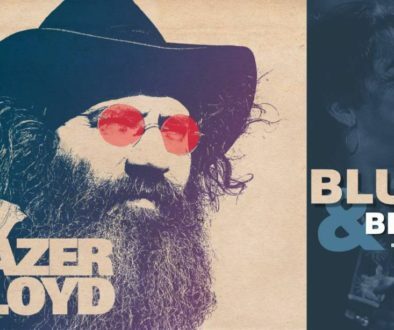 She’s got a fair picture in mind, but hasn’t settled entirely on which three musicians will be featured. 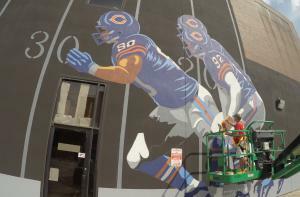 They will definitely span several genres to honor that most important aspect of mural work — a sense of ownership for the general public, even within the confines of an artist’s individual vision. Contributor Zach Shields admits he’d be a terrible collaborator on mural projects: He’d want to pick every color and create every quote. This article originally appeared in the October/November 2015 issue of Decatur Magazine.